Cotton is a popular fiber for making clothing, accessories and home decor items, particularly kitchen projects and bath accessories. Cotton's beneficial properties are well-known: it's soft, durable, affordable, wearable, absorbent, widely available, and easy to care for. What you might know a little bit less about is the option to use "organic cotton yarn". This article explores what that means for you as a crocheter and what ethical considerations it brings about, which will hopefully you in your yarn-buying decisions. What Is Organic Cotton Yarn? Organic cotton yarn refers to yarn that has been farmed in a specific way. When appropriately farmed, organic cotton yarn is created using methods that are less harmful and have much less impact on the environment than in traditional cotton farming. However, this is not always the case, as we will explore below. What you should know to start with is that yarn labeled organic is supposed to have been grown without pesticides or chemical fertilizers. The reason that a lot of people are interested in sourcing organic cotton yarn is because they have environmental concerns about conventionally-farmed cotton, which also extend to concerns about how pesticide-treated cotton can affect human health. Cotton is a favorite target of pests, which means that conventional farmers usually treat their cotton crops with toxic pesticides. That leads to some pretty serious environmental concerns. For one thing, pesticides can end up contaminating ground water, rivers, streams, and lakes. This can have all kinds of unintended consequences -- harming wildlife, polluting waters that are necessary for drinking, watering crops, and supporting wildlife. Farmed as intended, organic cotton yarn addresses some of these concerns with alternative practices. For example, instead of dumping toxic synthetic chemicals onto the crops, organic farmers often find ways to attract critters that naturally eat the pests that like to devour their cotton crops -- birds, other bugs, etc. They also use other methods, such as crop rotation, that are beneficial to the soil. The important thing for people to know if they are concerned about the ethics of using cotton yarn is that just because something is labeled "organic" doesn't mean that it is unproblematic. Just as with the debate around the labeling of "organic" in foods, there are a whole host of problems that accompany the labeling of organic cotton. The "natural" pesticides that are allowed to be used in organic farming, for example, sometimes have their own detrimental effects on the environment. It is also important to consider that even those organic products that are perfectly farmed in regards to treatment of the earth might have other issues that you haven't considered. For example, in a Medium article on the topic, Stephan Neidenbach highlights how "GMO cotton benefits Indian farmers, while organic cotton encourages child labor". An organic farm may (or may not) be better for the environment but if it has exploitative labor practices then it is something you may not want to support. The key thing for you to understand is that organic cotton yarn might have some environmental benefits but that the source of that yarn could be more critical than the label "organic" depending on why you are seeking out this type of yarn. There are companies large and small that produce organic cotton yarn and they each have their own practices when it comes to farming, dyeing, labor, etc. If you are able to work with local fiber farmers who use organic practices and allow you to tour their farms then this would be an ideal situation. If you are truly concerned about your personal impact on the world then the best thing that you can do is to research the companies in depth to get the best information available about the yarn that you purchase. This is true whether you are buying organic cotton yarn or any other type of yarn. 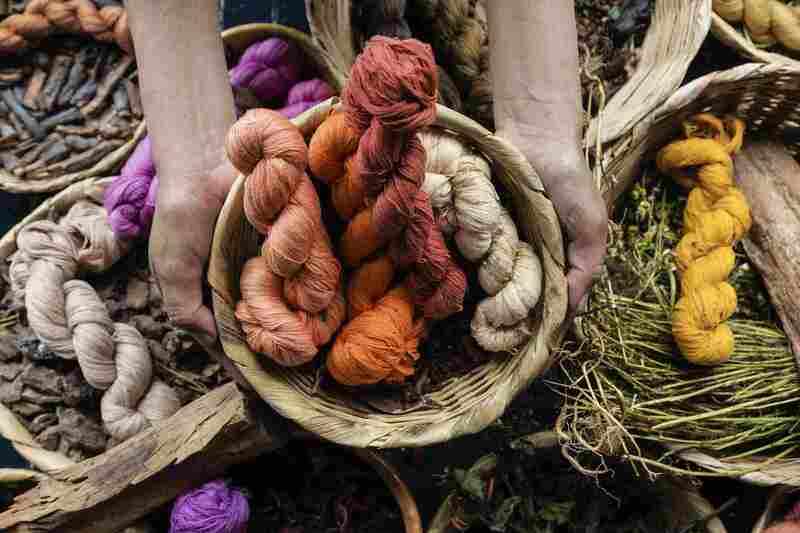 You might want to look at sustainability practices, "fair trade" companies and pollution output at yarn factories in deciding what yarn you want to spend money on. Cotton isn't the only organic yarn option. You can find organic bamboo, for example, and even organic wool. Organic wool means that the sheep it comes from was fed organically using mostly a grazing method of eating. Organic yarn typically has a higher price than other yarn. Sometimes this is due to the non-toxic dye methods used to color the yarn but it's also just an industry standard for it to be pricier. Organic cotton yarn may be softer to the touch. In many cases, organic cotton yarn is softer than traditional cotton yarn, making it perfect for crocheting baby blankets and wearable items. Organic cotton yarn is unmercerized yarn. Some crochet patterns call for mercerized cotton, which is going to react differently when crocheted. Organic cotton yarn is typically more elastic and has some of the same behaviors as wool in comparison with mercerized cotton.